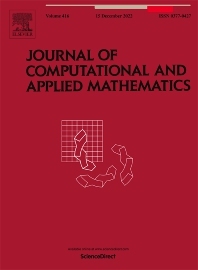 The Journal of Computational and Applied Mathematics publishes original papers of high scientific value in all areas of computational and applied mathematics. The main interest of the Journal is in papers that describe and analyze new computational techniques for solving scientific or engineering problems. Also the improved analysis, including the effectiveness and applicability, of existing methods and algorithms is of importance. The computational efficiency (e.g. the convergence, stability, accuracy, ...) should be proved and illustrated by nontrivial numerical examples. Papers describing only variants of existing methods, without adding significant new computational properties are not of interest. The audience consists of: applied mathematicians, numerical analysts, computational scientists and engineers.